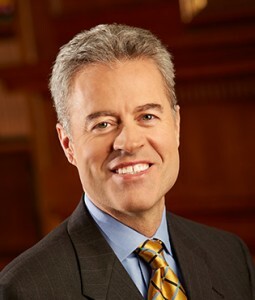 Mark Mone was appointed Chancellor of the University of Wisconsin-Milwaukee in 2014. He has put the University on a strategic course for strengthened student success, research, partnerships, entrepreneurship and innovation while managing unprecedented challenges facing higher education, and the consolidation of two regional campuses into branch campuses of UWM. Dr. Mone has taken a leading role in the M7 Regional Talent Partnership to increase the number of college graduates to address the growing need for highly-skilled talent in the state. Chancellor Mone has positioned UWM to address societal issues through strategic re-invention and research and collaboration. He co-leads the M-cubed – a critical initiative of the three major public education institutions in Milwaukee that together serve more than 140,000 students – to close the achievement gap. Dr. Mone is the co-founder of the Higher Education Regional Alliance. Working with key constituents across Wisconsin, Dr. Mone has expanded UWM’s innovation initiatives through the new Lubar Entrepreneurship Center and strategic partnerships with business and community leaders. 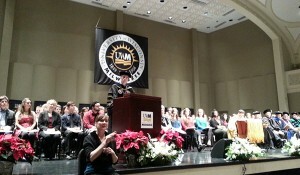 Under his leadership, UW-Milwaukee has launched the Connected Systems Institute and Freshwater University. Dr. Mone and his leadership team are nearing completion of the University’s $200 million comprehensive campaign, “Made in Milwaukee. Shaping the World” – the largest fundraising campaign in UWM’s history. UWM is one of America’s top research universities, educating more than 25,000 students on an operating budget of $653 million. Internally, Chancellor Mone has successfully led the state’s second-largest University to institute operational efficiencies, executed strategic opportunities and enrollment management plans, and improved business practices. Dr. Mone has served higher education for more than 30 years as a faculty member, associate dean and senior administrator. He has a B.S. in Management from Central Washington University, a M.B.A. from Idaho State University, and a Ph.D. in Organizational Behavior and Organization Theory from Washington State University. Prior to his work in academe, Chancellor Mone was a chef, food and beverage director, and opening assistant general manager in hospitality operations. Chancellor Mone serves on the boards of The Water Council, United Way, Milwaukee Succeeds, Milwaukee Film, Midwest Energy Research Consortium, BizStarts Milwaukee, Scale Up, Milwaukee Global Health Consortium, and the Horizon League Athletic Conference. He is an active member of the Greater Milwaukee Committee and Metropolitan Milwaukee Association of Commerce. Chancellor Mone is an avid cyclist, athlete and a gourmet cook. He is married to Dr. Sara Swanson and they have two adult children. We will be a top-tier research university that is the best place to learn and work for students, faculty and staff, and that is a leading driver for sustainable prosperity. Download Mark Mone’s Full Bio. Download Mark Mone’s Short Bio.